So, You're a Writer...: Are You a Speed Reader? ► Interesting, right? That brings me to the inspiration for today's post. 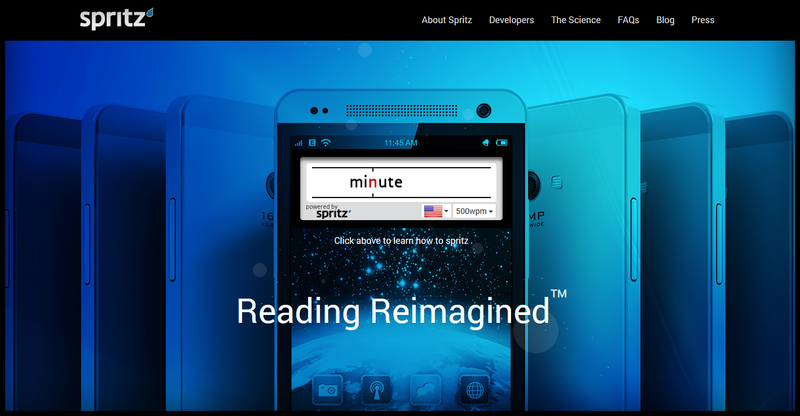 This February, Alexis Kleinman posted an article ("You Could Soon Read An Entire Harry Potter Book In Under 90 Minutes With This App") about Spritz—a company making headlines for its speed-reading technology. You should check out their website. Apparently, they focus on the "Optimal Recognition Point"—which is a certain point the eye seeks within a given word. By making that letter red, our brains are able to process the information faster. 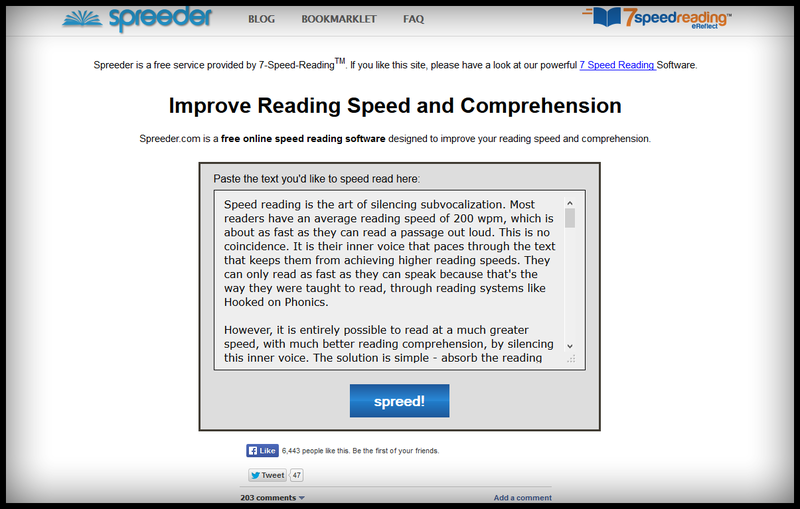 ►If you'd rather practice speed-reading with your own material, there's an app called Spreeder that might be worth checking out. *Cough* But I digress. These apps seem pretty cool for things like blog posts and educational materials, but I think I'd still prefer to take my time on leisure reading. What about you guys? Would you use a speed-reading app? Reading one word at a time would be so weird though. I don't need to check. I know I'm a slow reader. Not sure I'd want to speed read books. I read them to enjoy them, not to speed through them. Though I do love the ones that are naturally quick reads. How funny--I blogged about Spritz today! Great minds and all. At 500 wpm, I felt like I was reading backwards. It wasn't pleasant. I saw the Spritz thing last week and think it's brilliant, just not for novels imo. I saw this on someone else's Facebook post. I'll have to go check it out. I don't want to speed read novels. I like to savor them, but I think there's a point in cuing in on words. Interesting-- thanks for sharing. But seriously, I'll check it out. Sounds cool! I'm already painfully aware that I'm a very average paced reader. The people that read a book (or several) a week floor me. As far as reading for the fun of it...I read really fast as it is and sometimes miss things that I catch on the next read. Cool idea, but I don't think I'd be using it. I'm a fast reader, but when the prose catches my heart, I go very slowly just to savor the sound and the rhythm. 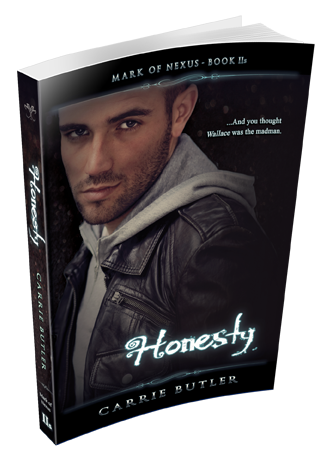 I was thinking this type of software would be excellent to proofread my books with. I have a nasty habit of leaving out words, but with being fed one word at a time, it'd be a lot more noticeable. I tried the Spritz reader, didn't enjoy it very much. Same here. I like to get lost in fictional worlds. That wouldn't happen with this type of speed-reading. It has potential for other uses, though! I'm usually a slow reader. That's how I enjoy a book. But for two of my favorite authors, I have to make myself slow down to keep from reading too fast. I'm no fast reader. Reading a Harry Potter book in less than 2 hours sounds creepy to me. I want to savour the experience. I'm slow reader. There is no doubt about that. When I speed read I speed read, I get all sorts of things wrong! I scored 361, which is bloody amazing because it took me a year to read War and Peace. Okay, I probably could have done it in a month, but I was pretending I had a life. LOL. Okay, that's not true. I was writing. Okay, that's not true either. I think I'll go make some soup now. See ya later, Miss Carrie! I apparently read 377 words per minute, 51% faster than average. I'm not surprised, since I had hyperlexia at age three and routinely finished assigned books in English way ahead of all my classmates, who were obediently only reading one or two chapters a week instead of going ahead. It only took me 19 days to read War and Peace, and I'm hoping it'll only take two weeks when I reread it. yeah, I tried Spritz, and it was...weird. I have trouble believing all of their claims about improving comprehension, I have to say. I don't think I'd ever use a speed reading program. I'd just read more to improve my speed. Great minds, indeed. High five! Yeah, you wouldn't want to sneeze at 500 wpm. You'd miss half a page! I think I'd like to speed read a few e-mails. Maybe some blog posts. After that, I'd go total ADD mode and miss pages! LOL I see how it is, spinning your lies on my blog... *grins* So great to see you around again, Joylene! Uh oh! Maybe he wanted to be the horse this time. Yeah, I don't think much would stick for me unless it was short material! Whoa! That really is a tome. I'm impressed! Thank you, my friend! It's great to see you back around here. :) Like you, I feel like I'd be missing out on too much if I sped-read fiction. I'm yet to buy into the Spritz hype. I would love to be able to read more books but the books I love, I typically read certain sections more than once, to really absorb the awesomeness. Same here. I would love to be able to read more, but it would kill a fictional experience for me. Maybe emails on my phone or something!